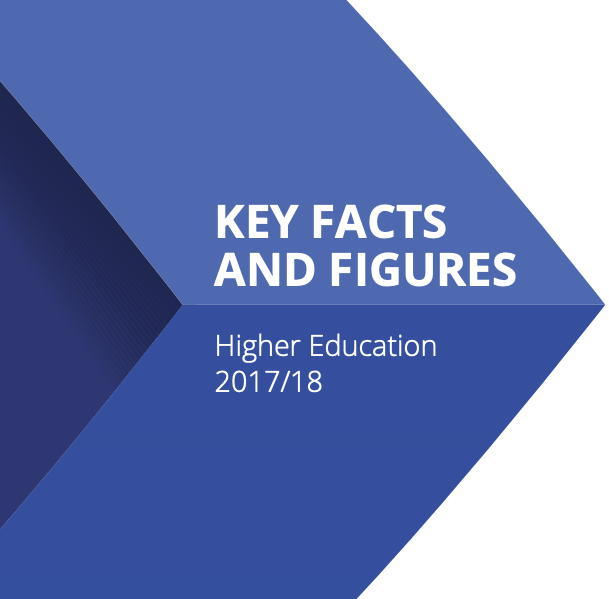 Share the post "HEA report reveals precarious nature of third level student numbers and funding"
Higher Education: Key Facts and Figures (2017/2018), a report published by the Higher Education Authority (HEA) Statistics Unit on Friday 18th January, has shown that in 2017/2018, the total number of new students entering third-level education as a full-time undergraduate was 44,124. This figure is a 6% increase “in full-time undergraduate new entrants in the last five years” and brings the total number of students in higher education to 232,000, the highest enrollment has ever been. Interim Chief Executive Paul O’Toole wrote in the report: “there were 70,515 graduates of higher education institutions in 2017, of which 48,931 were undergraduates and 21,584 were postgraduates. This represents an increase of 16% over the last 5 years. At 38%, the greatest increase in graduates in 2017 is in Information & Communication Technologies (ICTs) and Natural Sciences, Mathematics & Statistics compared to 2012.” In the academic year 2017/2018, the HEA found that Arts & Humanities and Business, Administration & Law were the most popular areas of study, accounting for 43% of graduates from higher education institutions. Academic staff also saw an increase in the total number employed in higher education institutions. A steady rise over the period of 2013-2017 saw academic staff numbers increase from 9,000 to 9,686, a rise of 27% over the last five years. Understandably, the rise in the number of academics and teaching assistants would be required to accommodate the increase of students, but the financial budget of the report gives little to no reassurance that this trend can continue. The report revealed that of the €2.43 billion of their income from the 2015/2016 budget, €1.15 billion was sourced from government-funded exchequer fees and student paying non-exchequer fees. Interestingly, the exchequer fees only made up €301,850,00 of the HEA’s income, which is less than half of what non-exchequer fees amounted to at €851,655,000. State grants made up only €616,074,000 of the HEA’s income for the same period, with the remainder coming from awarded research grants and outside contracts. During the 2015/2016 period, non-EU students attending higher education institutes made up 5% of the total number of undergraduate students. In the latest report, that has risen to 7%, and the financial contribution that foreign students make can be seen as an important source of income for higher education institutions. Comparing the findings of the report to the Government Budget 2017, then Minister for Education Richard Bruton said that he would pledge €37 million to the higher education sector in 2017, which would increase by €17 million in 2018 as he said “it would give colleges and universities greater certainty in planning for the coming year.” However, with the size of the difference in income between exchequer and non-exchequer fees, there is still doubt over the reliance placed on student-paying fees to support the higher education sector. Institutes of Technologies (ITs) seem to be the most at risk of a lack of government funding with €265,479,000 in income attributed to non-exchequer fees and only €41,011,000 from exchequer fees, giving an exchequer/Non-exchequer fees ratio of 0.2. Next articleSorry, did my joke offend you?